Fed up of mince pies now for another year? Got a few left in the cupboard that needs eating or finishing off? 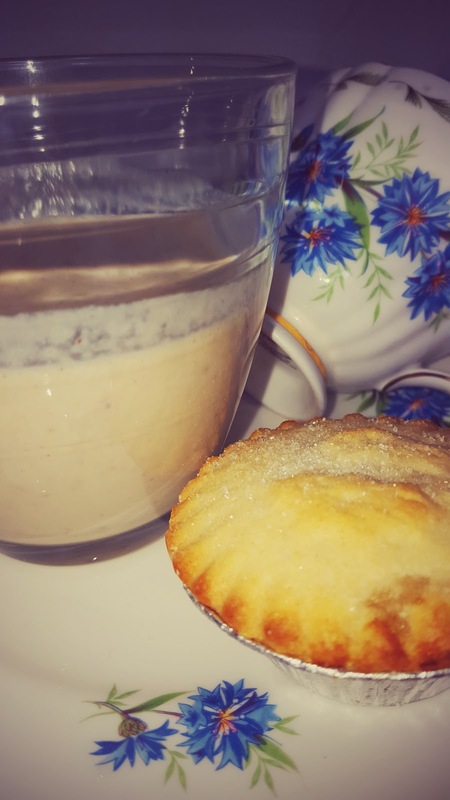 Mince Pie And Cream Posh Milkshake anyone? Yum, yum! If you are on a New Years diet? Look away now!! Haha!! This milkshake tastes amazing and it will leave you wanting more!! I am supposed to be on a healthier eating diet but when you find some mince pies in your favourite supermarket at 10p a pack of 6 with a few weeks use by date on them, it is hard to refuse them!! Could you walk by them at this price? Then later that day, I popped into my local shop and they have double cream at 25p a pot, need I say more!? 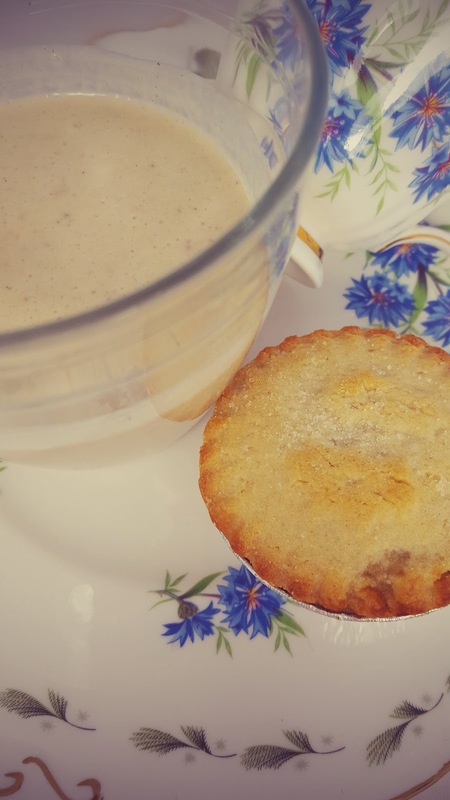 Mince pie and cream, how yummy. Mince pie and cream milkshake, even better!! So I have been thinking of this recipe for a while and now I wish I had not tried it. Because it tastes amazing and I have a full pack of mince pies and a tub of double cream in the fridge!! Weekends are made for treats though!? Not to self, must do lots and lots of running this weekend! 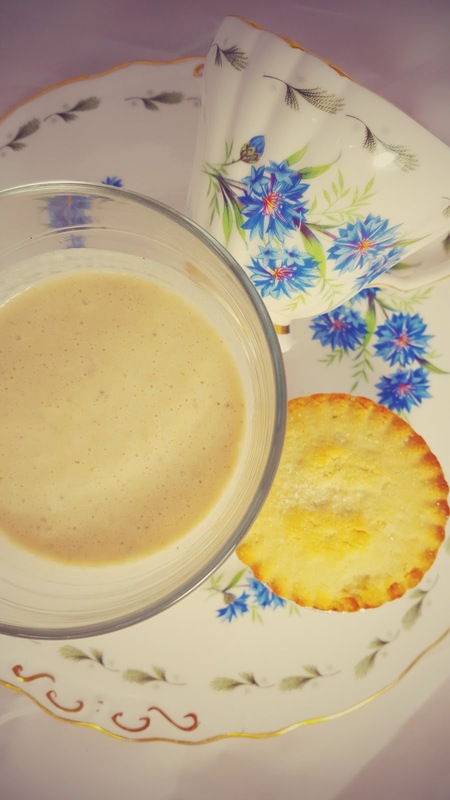 Break the mince pie up into 4 and place in a smoothie maker. Add the double cream and milk. I used a spoon to eat mine as it was so yummy, creamy and I wanted it to last! What do you think? 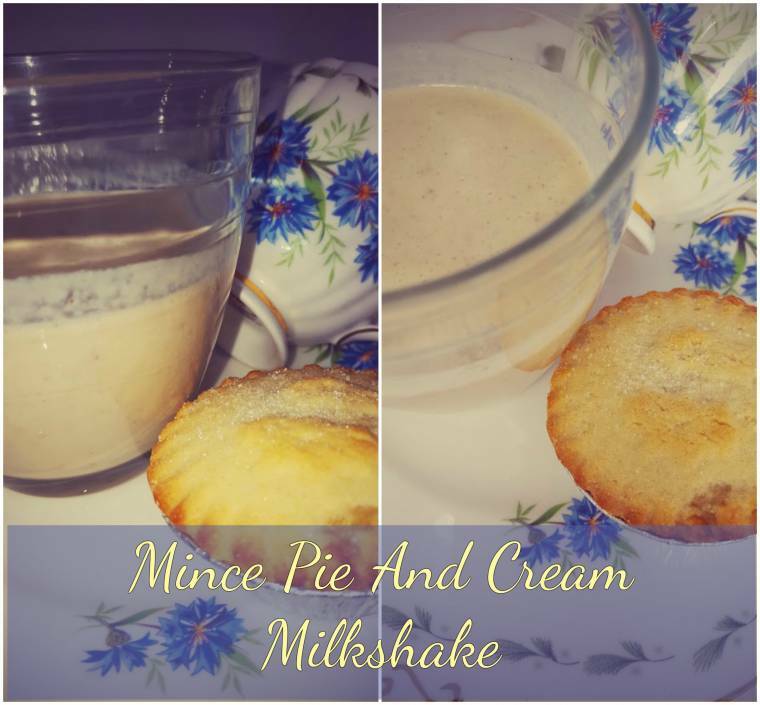 Fancy trying this Mince Pie And Cream Posh Milkshake? "Tuna Pasta : The Weekend Blog Hop.."
"The Laughing Cow Cheese And Chicken Wraps.."
Sound and look so tasty!